This weekend, I thought my house was blowing up. Legitimately. Somehow, a transformer exploded across the street from us and the explosion occurred just as I was turning off a light in my house. I heard a huge boom, saw super bright colorful flashes of light, and felt the house shake. This is seriously concerning, right? Turkeys are allegedly setting fires in my neighborhood and attempting to destroy homes. Needless to say, I required a glass of wine and lots of cheese that evening. Luckily, we went to celebrate Father’s Day at my sister’s house and enjoyed lots of wine and cheese, along with the company of the best dad in the world and my my fabulous aunt and uncle who were visiting. Mt sunday was redeemed. 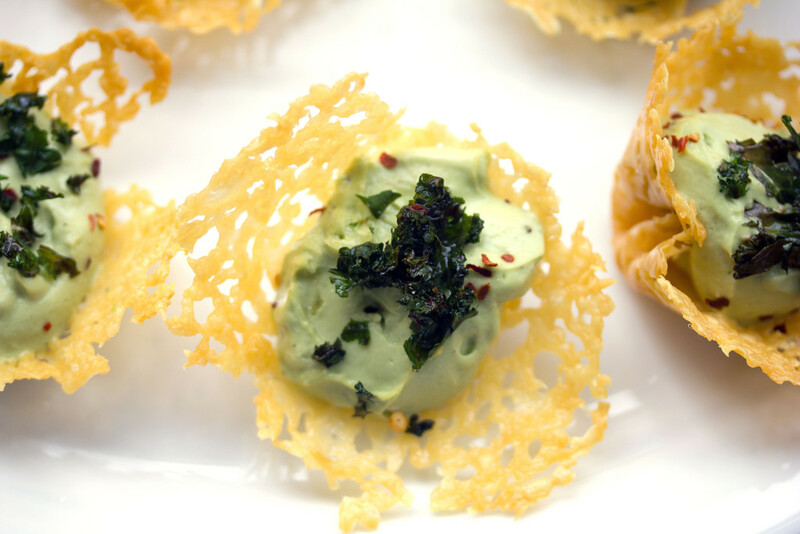 This is an appetizer that contains all of my favorite things in one glorious little bite. Is this what heaven is like? I hope so. 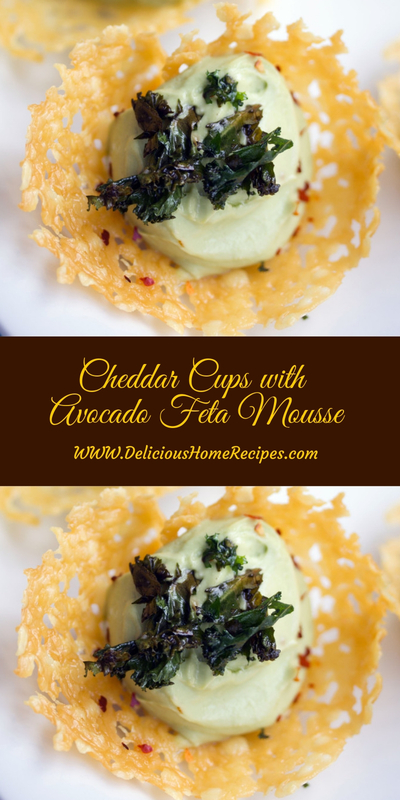 They’re Cheddar Cups with Avocado Feta Mousse and they make a pretty ideal app. Plus, they have baked kale on top. The only thing that could make them better is if wine was somehow baked in. I’ll start working on that. 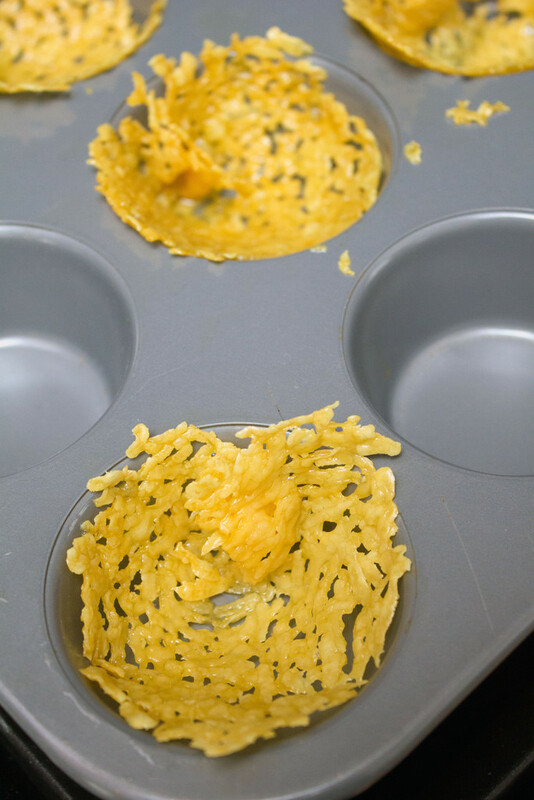 After removing from oven, let sit for 30-60 seconds and then lift cheddar rounds with spatula and fit into muffin tins. Press down to form cheese into cups. It’s important wait 30-60 seconds before moving, so cheese isn’t gooey, but then you must work quickly before it hardens completely.